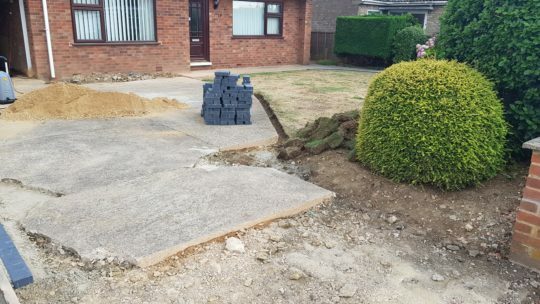 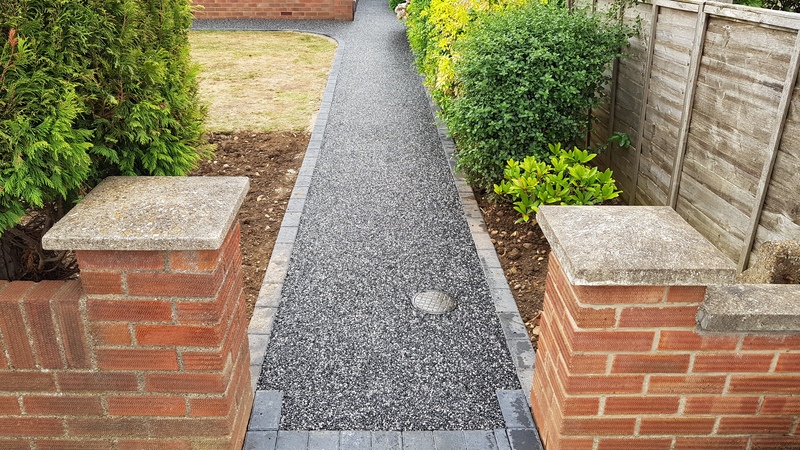 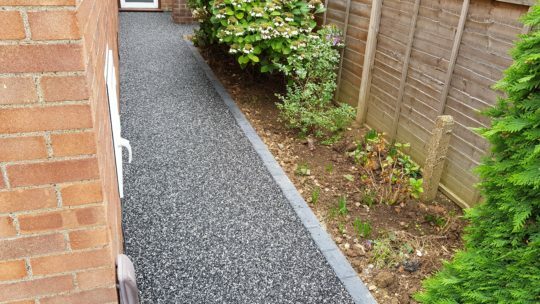 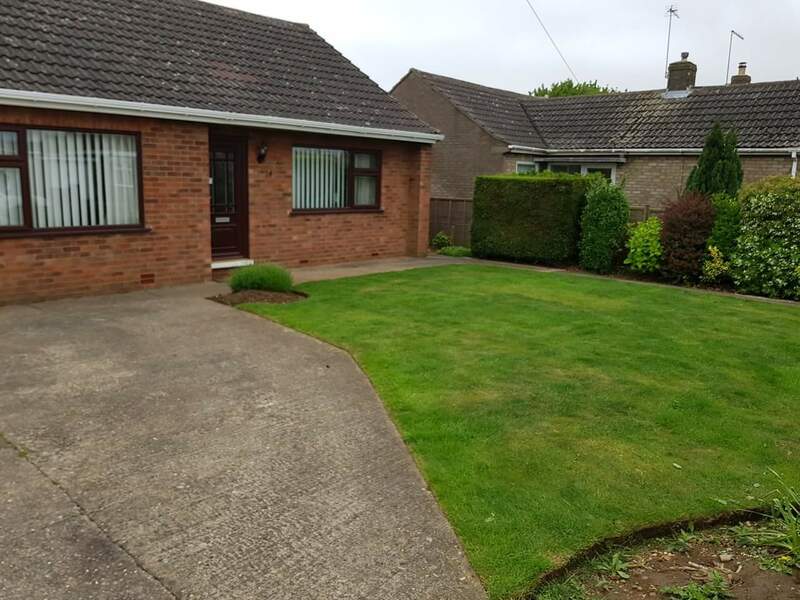 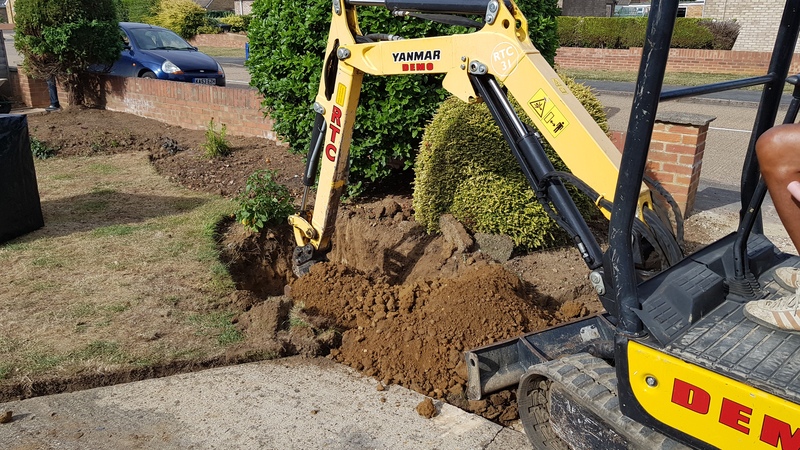 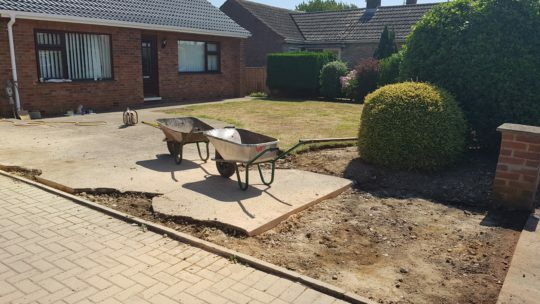 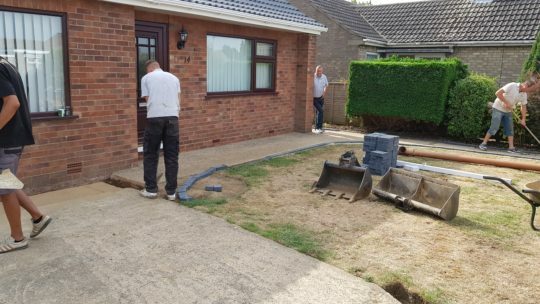 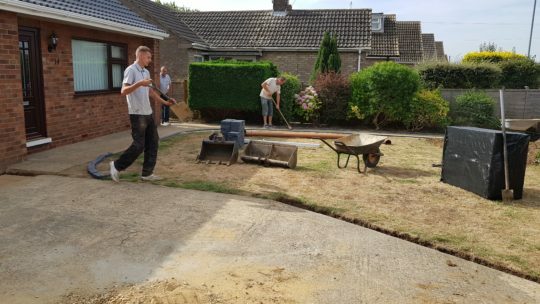 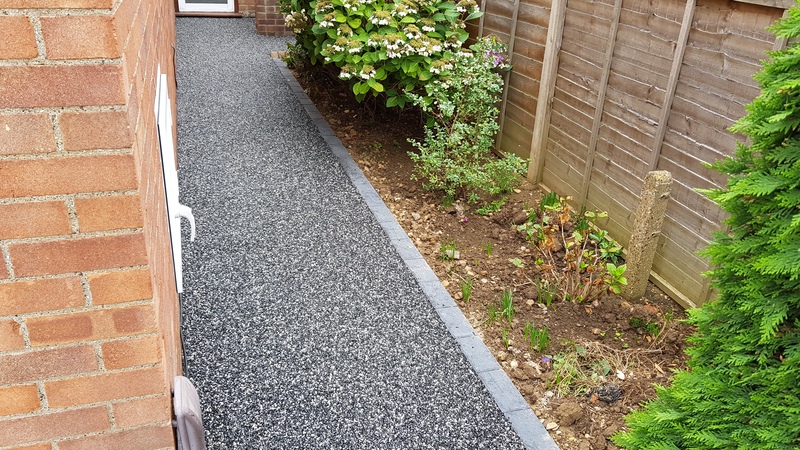 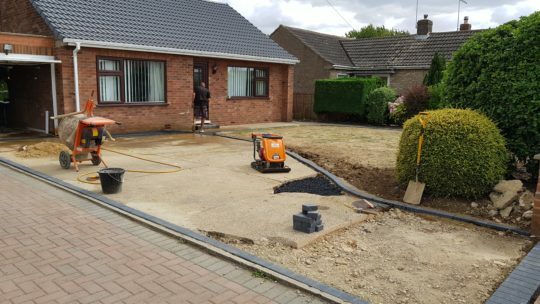 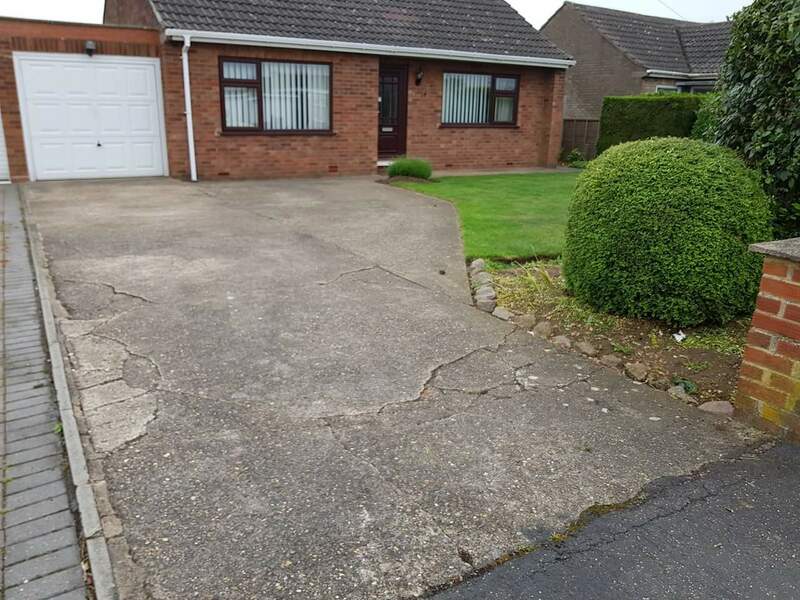 Our clients had an old concrete driveway and pathways in Stanground that they wanted to improve the look of as well as the levels which were all over the place and making the areas difficult to walk on safely. They also wanted to install a new soakaway to drain away water from the rear of the properties guttering. 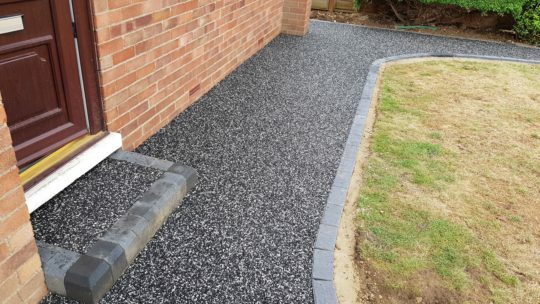 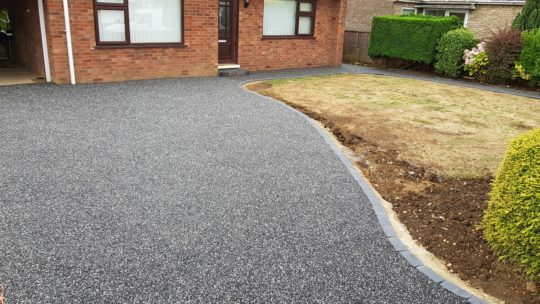 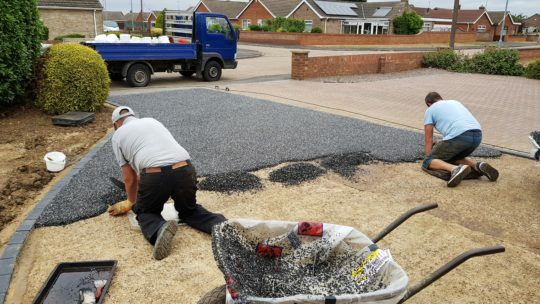 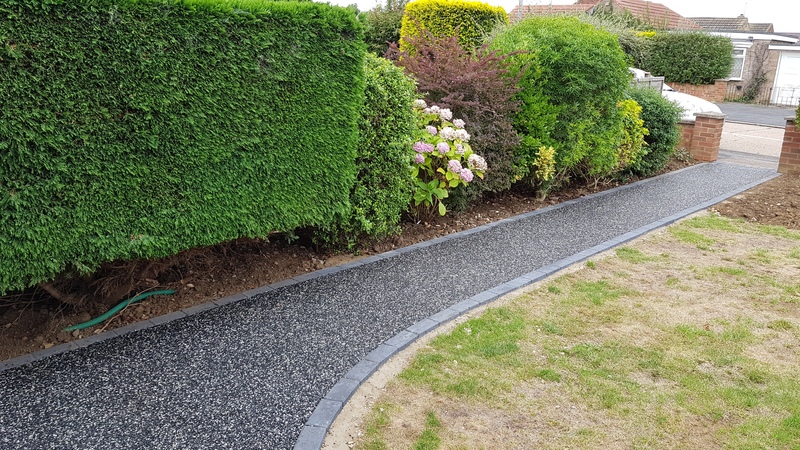 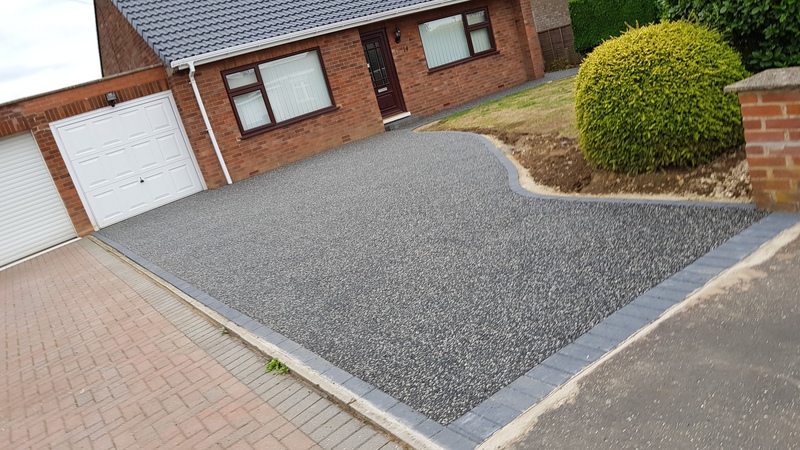 We excavated areas of the driveway that were too far gone to utilise as an existing base and installed a new bitumen base at the same time widening the drive in areas and using curves to improve the look. 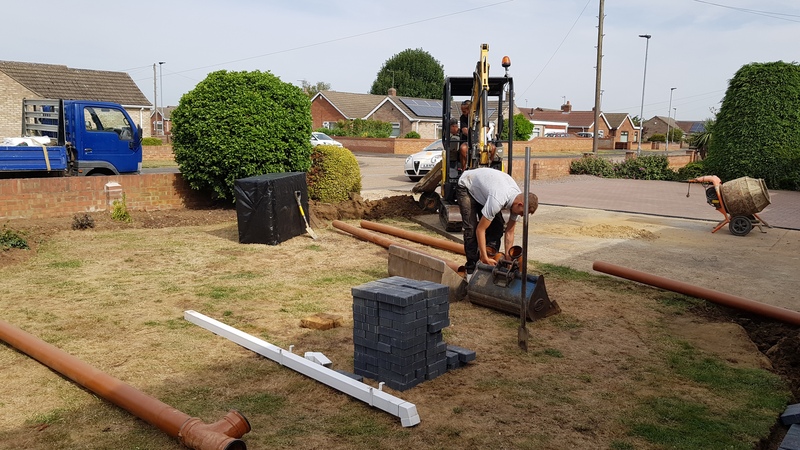 New block paving edgings were installed and a new soakaway with drainage added so the customer could drain water from the rear of the properties guttering. 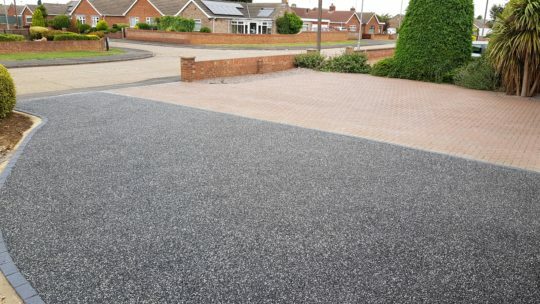 The install area was hand troweled in Titanium aggregate bound in UVR resin for vehicular traffic. The end result is a much leveler driveway and pathways requiring next to no maintenance. 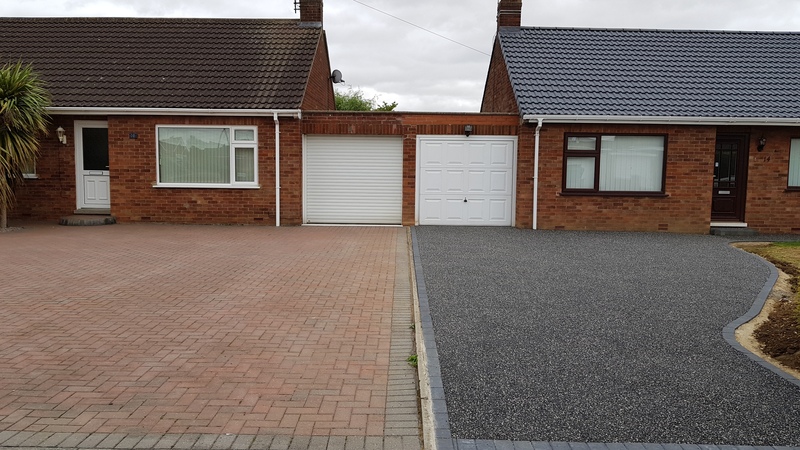 Comparing the block paving next door which has faded and will require maintenance to remove weeds etc this will not be the case with the Resin which will not fade and is resistant to weeds.